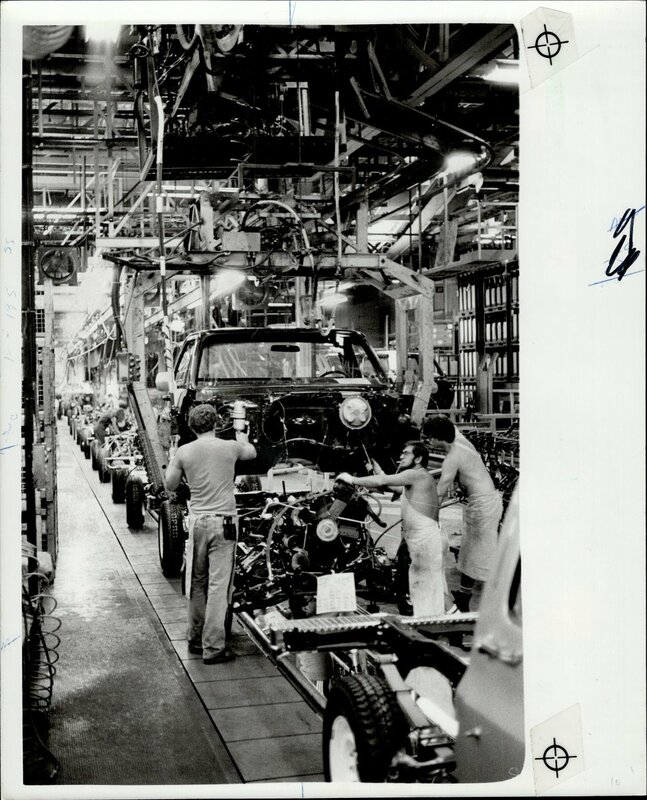 This photo, taken by the Star's Alan Dunlop in 1986 was captioned: Canadian car plants, such as the GM Oshawa plant, have become more efficient relative to Japan because of the yen's appreciation. Shifting exchange rates could influence views of investment in Canada. 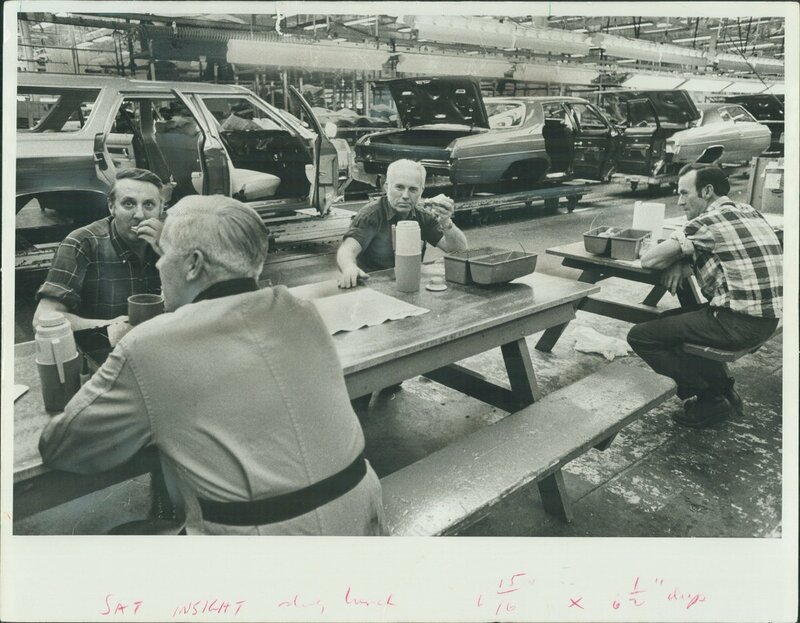 In 1973, workers at GM Oshawa eat lunch beside the assembly line to save time on break. Photo by The Star's Boris Spremo. 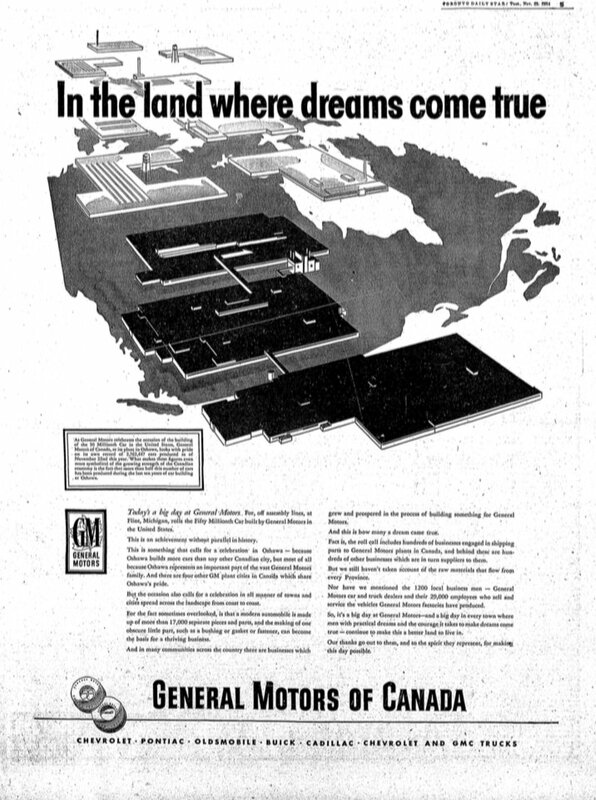 Nationalizing GM Canada is a compelling proposition. It would not only save jobs but create them, as Canada repatriated the engineers, designers and experts in advanced manufacturing who have been obliged to make their careers abroad, David Olive writes. 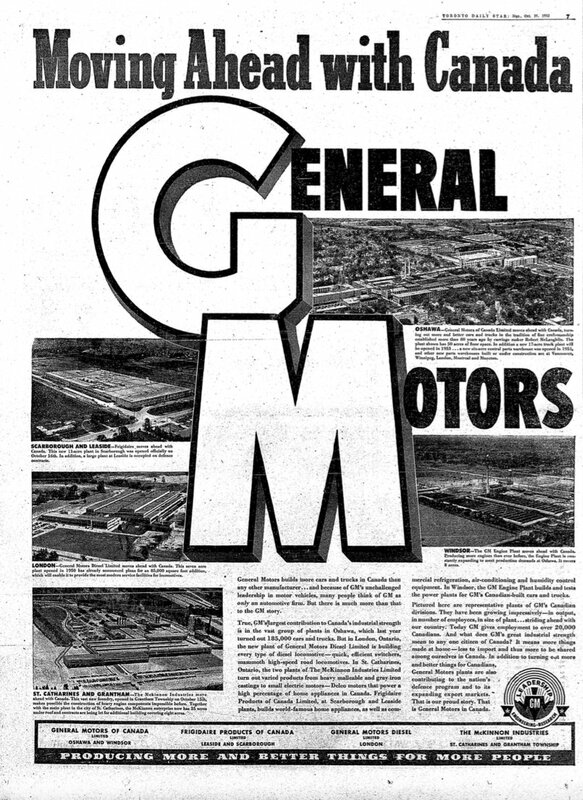 Here are two GM Oshawa adds from the 50s. "They have been growing, impressively — in output, in number of employees, in size of plant." The next is about a year into production at the Oshawa location. Other sources assert the shooter was black, not white, and the shooting might have been gang related. This could get even uglier than it already was. Arrest CONFIRMED in #JazmineBarnes shooting death. Reports indicate the shooting was a result of mistaken identity and the mother and children were not the intended targets. Over a year ago under questioning from @SherrodBrown an expert testified that the Trump / Republican tax scam would incentivize companies to move jobs overseas for a lower tax rate. 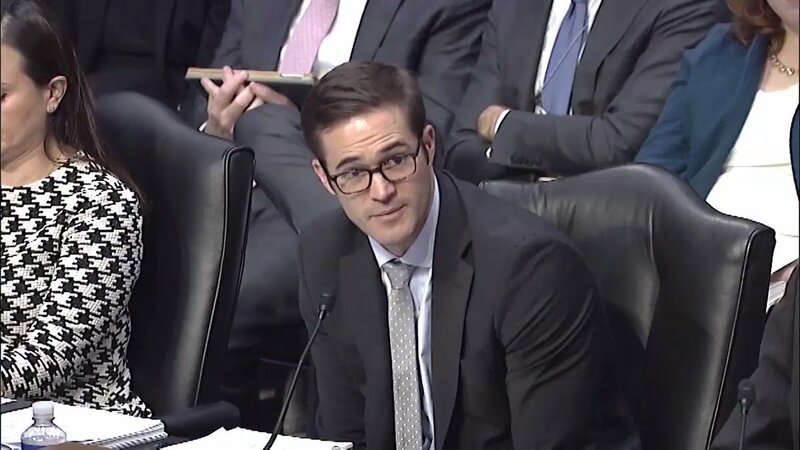 "Companies are going to be able to save a ton of money by locating factories abroad." Then add the chaotic Trump tariffs. Why do Republican voters even exist? You're a greedy billionaire? 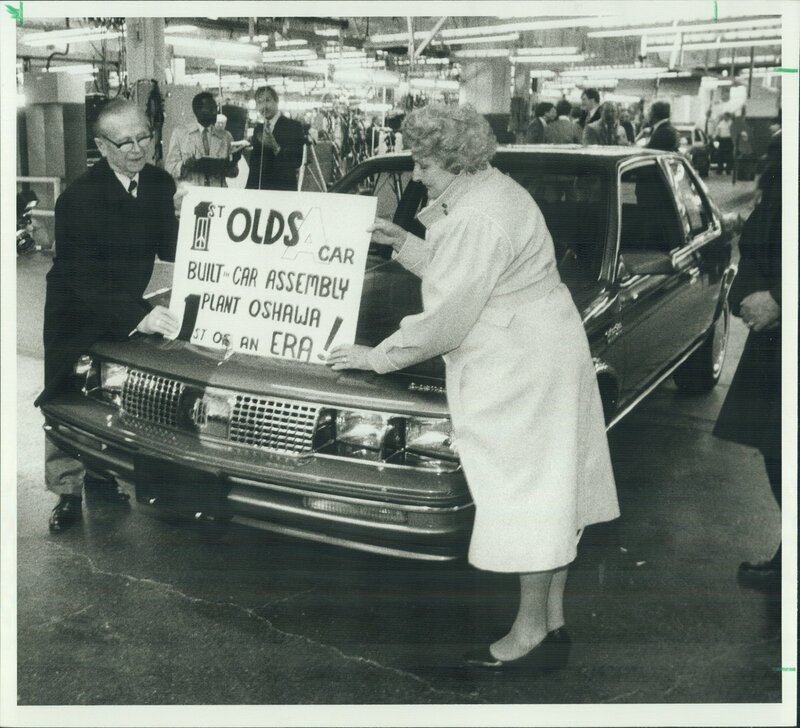 2017 article, "The Republican tax plans would lower rates on corporate profits held overseas"
How can #GM workers be surprised? #BREAKING: @FIU's new pedestrian bridge just collapsed onto SW 8th Street. This company proudly "performed structural monitoring." #BREAKING: Multiple fatalities reported in @FIU pedestrian bridge collapse. @BDITest just deleted this tweet from 3 days ago in which they said they were "thrilled to have performed structural monitoring" on the project. #BREAKING: 2 days ago @FIU President Mark B. Rosenberg said in story about new pedestrian bridge now deleted from the school's website “FIU is about building bridges and student safety. This project accomplishes our mission beautifully." 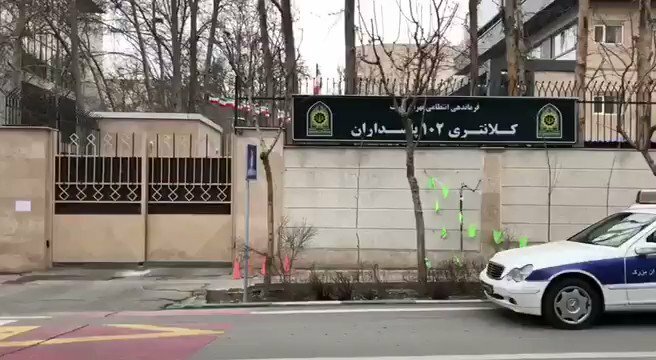 Dervish Gonabadi community members protesting the detention of Nematollah Riahi (#نعمت_ریاحی) & demanding the his unconditional release. He is suffering from heart disorder. 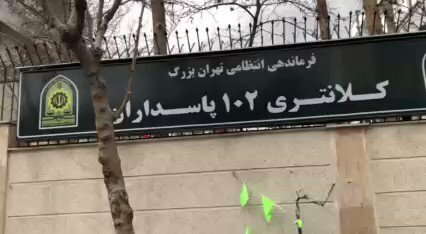 Latest footage of Dervish Gonabadi community members protest site. 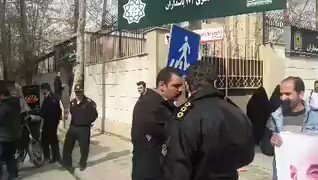 Reports indicate security forces are attacking the protesters with tears gas & opening fire. One protester is shot.